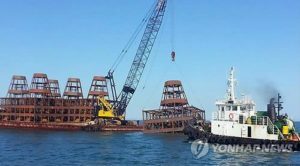 South Korea’s strategy of placing steel constructions to act as artificial reefs in the Northern Limit Line zone between North and South Korean waters has been criticised by North Korea government in a statement by its government-run Korean Central News Agency (KCNA). 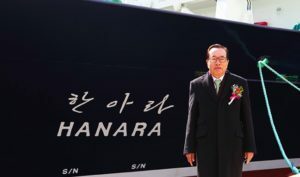 Korean fishing company Dongwon Industries has added the new Hanara to its fleet of vessels as part of a modernisation programme that has already seen three other new tuna vessels acquired since 2014. Changing face of coastal habitat make the bustling fishing village sits idle and fishing boats stranded at Sorae Port area. 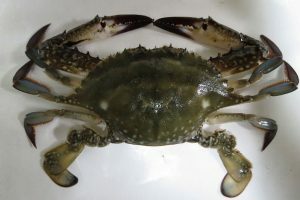 South Korean seafood exports to Japan has been increased by being radiation free, says a report. South Korea announced to tighten rules to curb illegal whale hunting as the international pressure mounts up. A South Korean fishing boat sinks in Antarctica Sea leaving 22 dead while trawling for deep water fish. A South Korea fishing vessel has been seized by North Korea after Seoul and Washington pressurize the nation for joint naval drill. Chilean authorities have denied its port access to a Korean flagged jigger arriving from Falkland Islands.